THE RACE IS OFF! 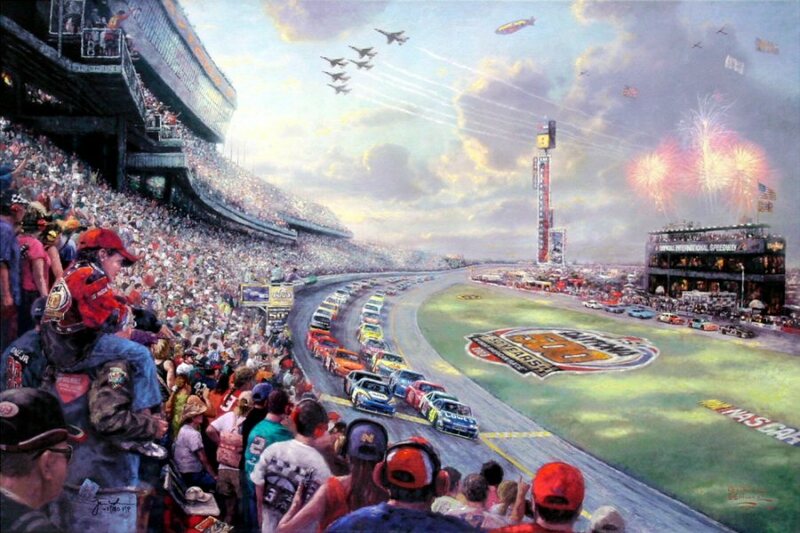 In the foreground, 43 mighty race cars thunder by as "The King" himself, Richard Petty, waves the green flag for the start of the 50th Running of the DAYTONA 500. As I paint furiously, the electricity and spectacle of the moment is almost overwhelming. In my Studio Masterwork release of the "Great American Race" I intend to capture the power of the starting moment, while honoring this one-of-a-kind NASCAR event. 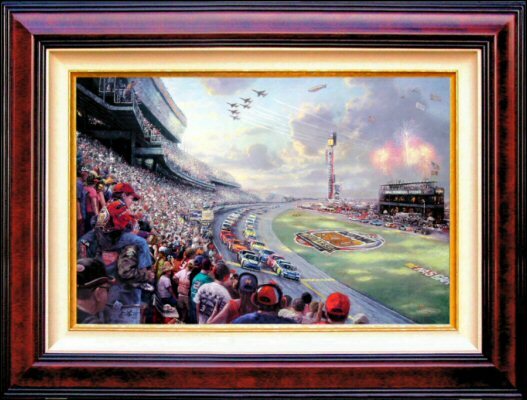 I have always believed that a painting can capture the pageantry and energy of historic events like no other medium, and my goal as I painted NASCAR THUNDER The 50th Running of the DAYTONA 500 was to document this classic event for race fans everywhere."